Rowing machines provide a total-body workout as they exercise your abs, shoulders, back, arms and legs. Rowing machines are not bad for shoulders. 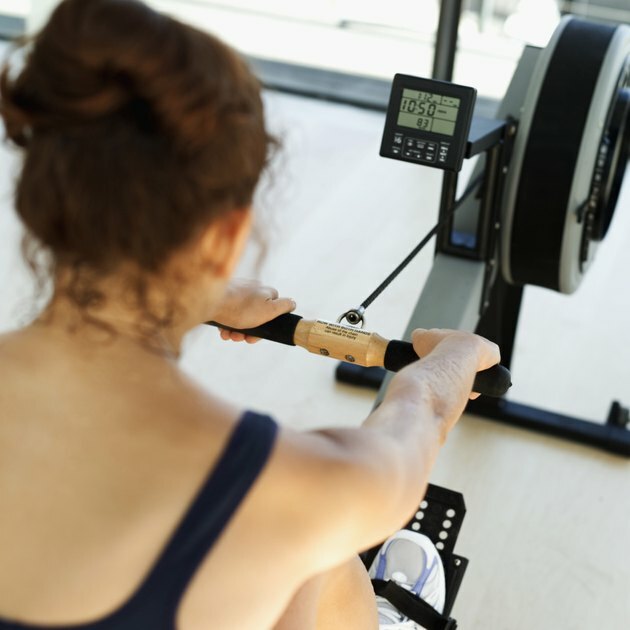 Focusing on proper rowing machine technique can ensure that the machine helps build your shoulder muscles instead of causing pain or damage. Position the rowing machine on a flat surface in an open space. Sit on the machine and focus on creating a continuous motion. At the start, your knees will be bent and your shins vertical, while your arms and shoulders reach forward. Extend your knees while keeping your arms and shoulders in the same position. Once your knees are fully extended, flex your elbows and bring the oar handle to your stomach as you move your shoulders back and extend your back. Stop rowing if you feel pain in your shoulders. Pain may indicate that you are using the machine wrong or that you are injured. If the pain goes away quickly, seek guidance on proper technique. If the pain persists, seek medical care.